Jah Prayzah said his achievement at the MTV Africa Music Awards (MAMAs) Saturday night came as a surprise. The musician said he feel honoured after scooping the Listerners’ Choice award at a ceremony that was held at the Ticketpro Dome in Johannesburg, South Africa. He said to him, the nomination was enough and was not even dreaming of winning of the award. 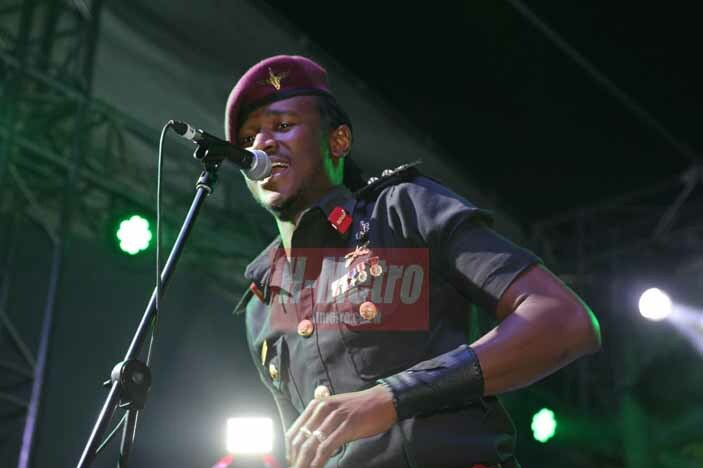 Jah Prayzah’s manager Keen Mushapaidze also added a voice and he believes the award is a loud message to the continent and the world at large that Zimbabwe has talent. “I think this is a loud and clear message that Zimbabwe has talented artists. A message that Zimbabwe has artists who can make it in the continent and even beyond,” said Mushapaidze. He said this should serve as a wake up call to a number of local musicians. “We have won it for Zimbabwe; I also believe that this is a wake up call to Zim showbiz and even to us that we can make it. “This award had big names vying for it but we became victorious and we would be happy to see more nominees from Zimbabwe next year. I can say we have just set the ball rolling,” he said adding, “These are internationally recognised awards and there is every reason to be happy, there is every reason to celebrate and after all we want to thank all the stakeholders in the arts sector. Jah Prayzah did not attend the awards ceremony and has been criticised on social media with some fans expressing disappointment. A section of fans suggested that the towering entertainer was not confident of winning but Mushapidze is not in consensus. “Not that we were not confident, winning or not we could have attended because we were nominated. The issue is the last batch of the nominees was informed late and we had already organised events on the weekend of the awards.